Recently, Contributing Editor Phil Harrington attended the 2015 Stellafane conference. Here is his account, arranged as a brief introduction and a series of captioned images. More than 1,000 people attended the 80th Stellafane convention in Springfield, Vermont, held August 13-16, 2015. 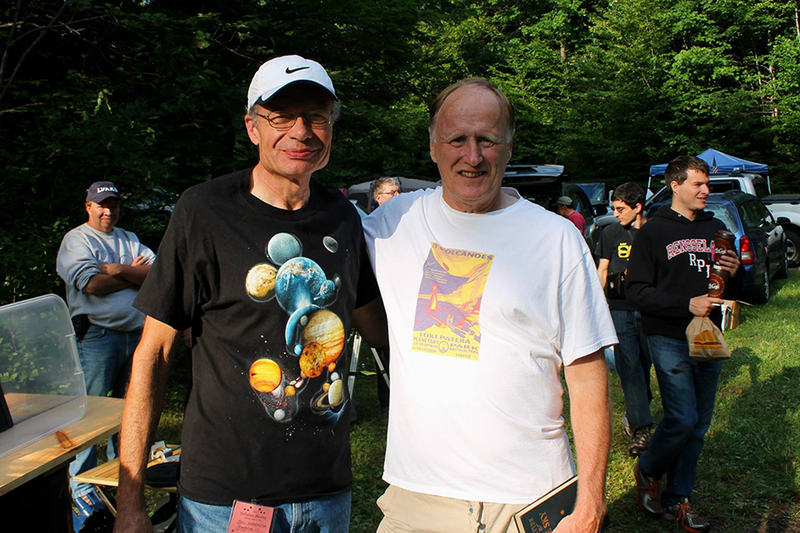 “Stellafane,” a contraction from the Latin phrase Stellar Fane, meaning “Shrine to the Stars,” is the oldest amateur astronomy convention in the United States, if not the world. 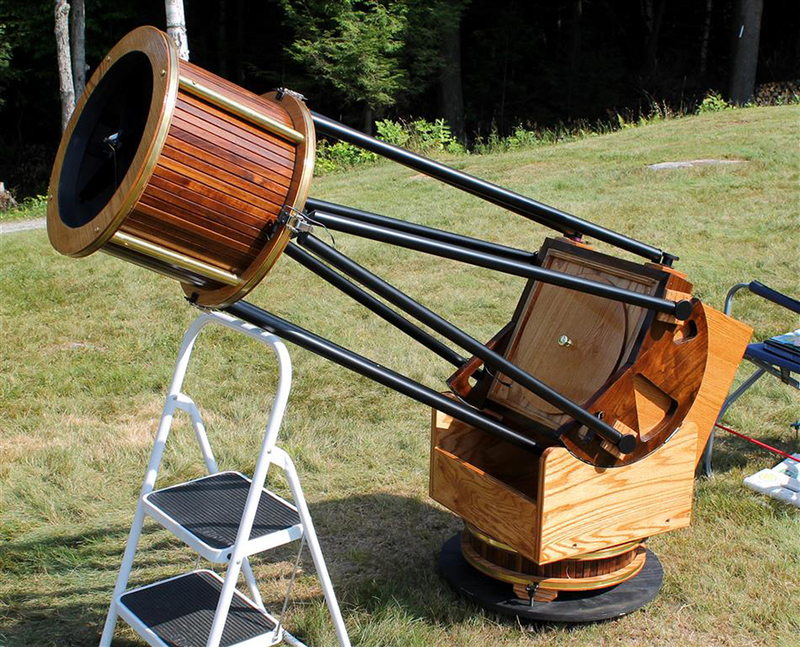 Stellafane is hosted by the Springfield Telescope Makers, one of the oldest clubs in the country. The club started in 1920 as an offshoot from telescope-making classes taught by local resident Russell Porter. Porter is considered to be the father of amateur telescope making and in many ways the modern hobby of amateur astronomy itself. Through local classes and global articles appearing in Scientific American magazine, Porter taught people that they did not have to spend months’ worth of salary to buy a telescope. Before Porter, owning a telescope was reserved for affluent members of society only. Porter showed how to make a Newtonian reflector from scratch for very little investment other than time. In response to the enthusiastic reaction to Porter’s articles, the Springfield Telescope Makers hosted the first Stellafane convention July 3-4, 1926, atop Breezy Hill, a location outside Springfield owned by Porter’s family. The real stars of the show are the homemade telescopes entered in competition. Winning an award for your homemade telescope at Stellafane is like winning an Academy Award; there is no higher recognition as being a master of your craft. Awards are given in several categories, including mechanical design, craftsmanship, optical (homemade optics only), junior, and special awards. The craft of amateur telescope making was well represented this year. Check out the images for a look at some of the winners. Saturday evening began with the entire convention gathering in the Pavilion, as a strong but swiftly moving deluge poured down outside. But it didn't dampen the spirits of the participants. Only time will tell, but one thing is for certain: No matter what changes occur in my little nook of the universe, or in the world at large, Stellafane will remain unspoiled. In many ways, this place is exactly as it was when Russell Porter gathered together the first Springfield Telescopes Makers nearly a century ago. The spirit of Stellafane remains as it always has. 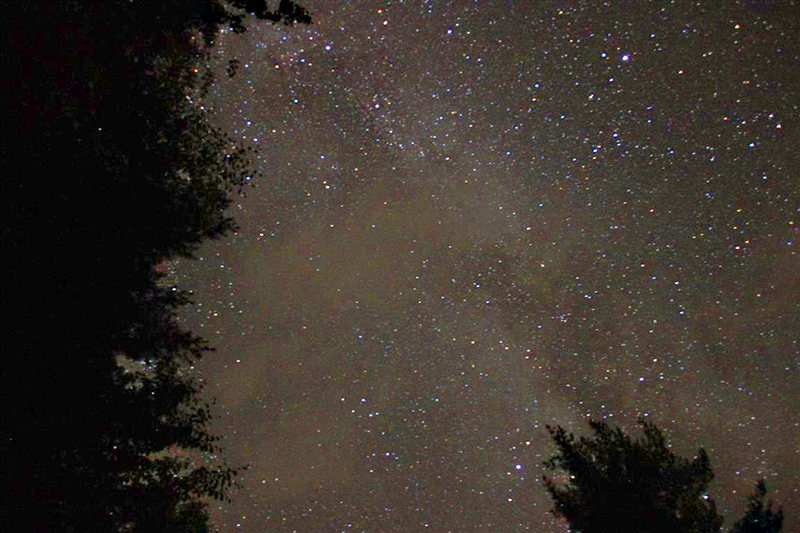 If you’ve never been there, please put it on your bucket list and join me, along with a thousand of your astronomical friends, at Stellafane next year. See you on August 4-7, 2016.